Tinytag connectors allow you to attach your own input lead or probe to certain Tinytag data loggers. 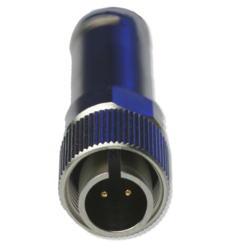 The 2-pin plug will connect a third-party input lead to a Tinytag current, voltage or count data logger. 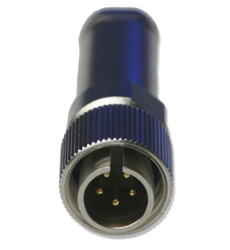 The 5-pin plug will connect a third-party PT100 or PT1000 probe to compatible temperature data loggers. It can also be used to connect an input lead to some voltage and current loggers. A 2-pin plug to attach your own input lead to the Tinytag current, millivolt and count data loggers.